This Saturday, the Dublin Library and the California Writers Club, Tri-Valley Branch, are co-sponsoring our first local author showcase! The public is invited to this free event, which will be held in the Dublin Library’s Community Room on Saturday, June 9th from 1-3 pm. 15 local authors will be here to mingle and talk about their book(s) with our community members. This event is appropriate for all age levels, as the authors write on a variety of topics, cover many different genres and audience ranges (from children – adults). 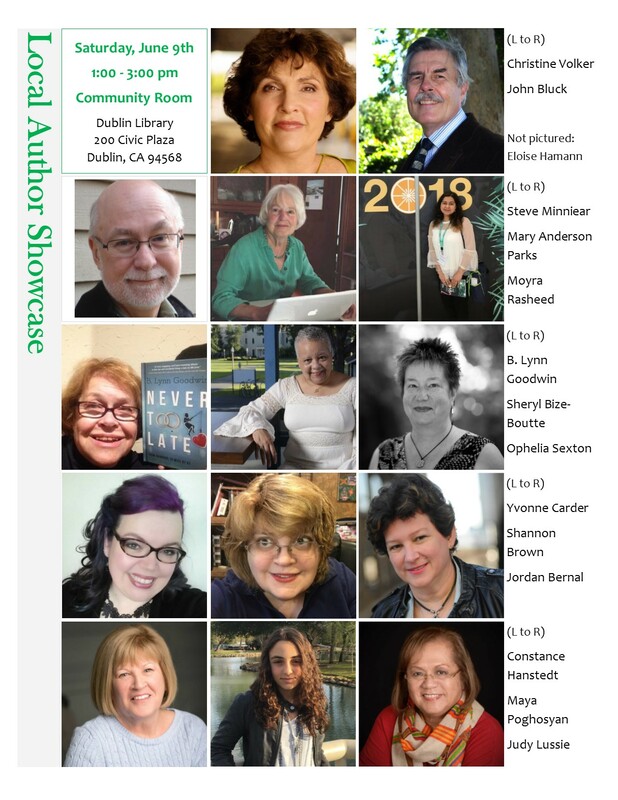 Many of the authors will be selling copies of their book(s) during the showcase, should anyone wish to purchase a copy of a particular title. Payment will be made directly to the individual authors (not the library). The California Writers Club will also have a table for anyone interested in learning more about the group. We hope that you will join us and come meet some of our local authors!